The core values and beliefs committee (a volunteer group of teachers and students with community members contributing digitally), gathered and pored over the teacher, student, and community survey results on what exactly our core values are and what they should be in order to craft the core values statement and graphic below. Many thanks to the committee for their time and effort with this work. A special thanks to the committee co-chairs Ms. Abigail Abbott and Dr. Rachel Gould. And to Mr. Keith Mistler, a special thanks, for making the graphic look so professional. The faculty and staff at Burlington High School will be discussing this statement and graphic at our next faculty meeting. Before that, there will be a two week window for staff, students, parents, and community members to provide feedback and ask questions. 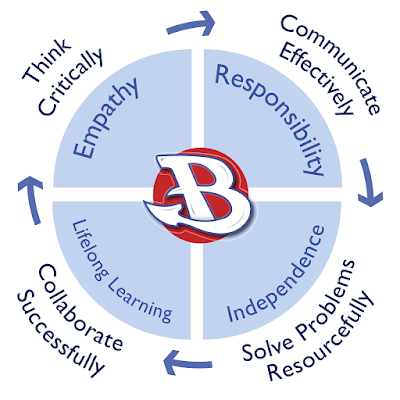 The mission of Burlington High School is to develop lifelong learners through fostering effective communication, successful collaboration, critical thinking and resourceful problem solving. We will promote the growth of responsibility, independence and empathy in all members of the community. 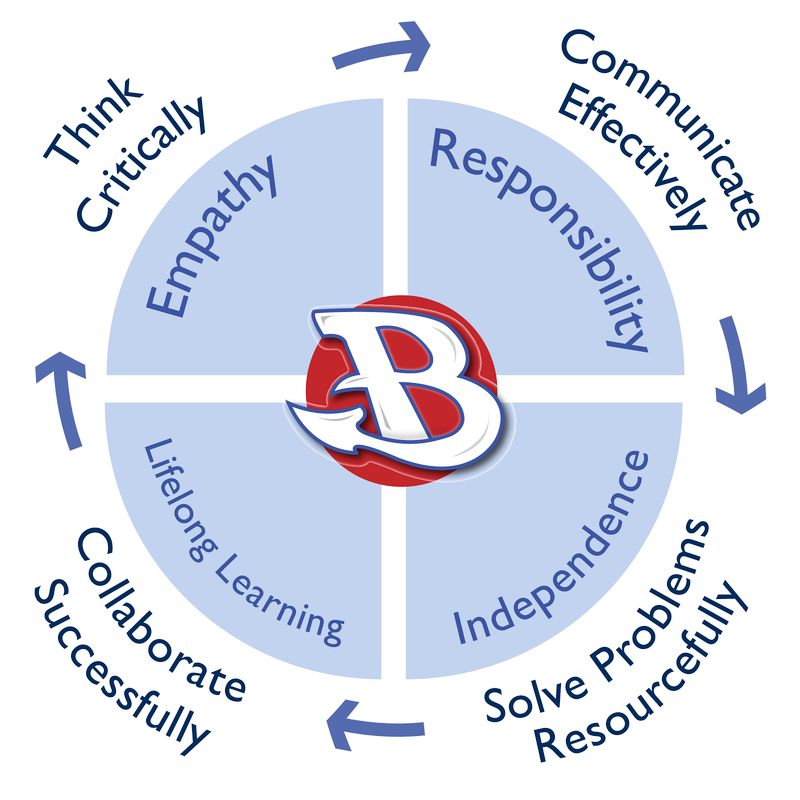 Students will leave Burlington High prepared as knowledgeable, respectful, contributing citizens of our global society.